Denver’s farmer’s markets serve as a great source of locally-grown fruits and vegetables every summer. But where do you go during the off-seasonfor fresh fare? 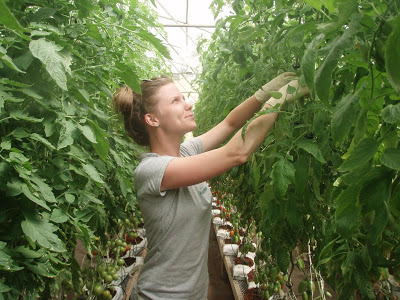 One of our clients – Circle Fresh Farms – is helping to solve that dilemma by working with local farmers to grow pesticide-free produce year-round in greenhouses. The Denver-based company has a network of five farms that are supplying tomatoes and lettuce to Whole Foods stores throughout the metro area. Circle Fresh helps the farmers by providing access to financial resources, sales and marketing support and guidance on growing food hydroponically in greenhouses. Some of the farmers, such as former Longmont nursery owner Jon Hulme, have transitioned to completely new crops with Circle Fresh Farms’ help. 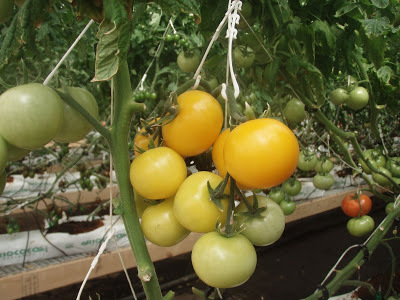 Jon’s shift from growing trees to producing tomatoes has already caught the attention of several local media outlets, who covered the farmer’s first tomato harvest earlier this month. His success story was featured in the Boulder Daily Camera, Longmont Times Call and Boulder County Business Report. 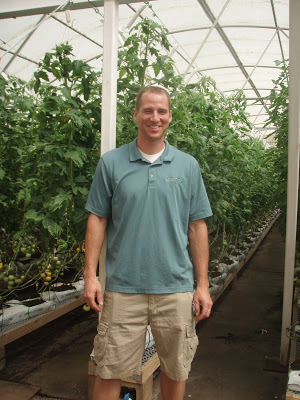 Here are a few pictures of Jon, his beautiful tomatoes and one of his happy harvesters. We expect Circle Fresh Farms to garner more exposure as it add more farms to its budding network. In addition to selling its products at Whole Foods, the company is also working on local restaurants that may want to feature locally-grown produce on their menus. So, consider asking where the food is grown next time you dine out. Happy eating!